Replies: 26 (Who? ), Viewed: 39087 times. This is how to mod objects to make them show up in CAW Metadata. This method was devised by GiLaNg, as posted here and here. If it is a custom object you are modding, you can just open the file in S3PE and find the OBJD, mod it and save the package. If you want to mod an in-game object, then you will need to find the OBJD in the game files, and import that to a new package, so that you are overriding the game files. Click the + next to Common Block, change it to 0x0000000E and click Commit (at the bottom of the window). Now, click Grid again to open up the window, and you will see a new option in CommonBlock- IsVisibleInWorldBuilder. Change the option to True. Change the BuildCategory Flags to 0x00008000 to make it show up in Misc objects (or 0x00001000 to group it with trees, or 0x00002000 to group it with Rocks). Click Commit, then save your file. Now, you can put that file in your CAW framework and your object will show up in CAW metadata. If you also put it in your Game Framework then it will show up in the World Editor bit of Sims 3, too. NOTE: Anyone using a world made with EA/ in-game objects modded to show up in CAW will not need your mod installed to use the world. They will show up just fine, as they are already in-game objects. This mod just allows the objects to show up in the CAW catalog (metadata). However, if you are modding a custom object to show in CAW, users of your world will need to have the custom object in their Mods folder. They won't need to have your version, modded to show up in CAW, installed though. If people install your modded items to their in-game Mods folder, note that the objects will also show up in-game in the world editor screen. This may be desirable if you are modding a small item, but perhaps not so desirable if you are modding something like a distant terrain. Thanks Bakafox for pointing this out! 20 users say thanks for this. Oh yes, this tutorial comes so in for a need! One thing I noticed though, do you mean with " extract the OBJD to a file, and import that to a new file in S3Pe. " that the file should be exported to a *package*, not to a file? Because I first exported to a file and when trying to open the file in S3PE it gave me a error message. I bumped into two problematic things on the first go. I was trying to work with the adult's bike, but in CommonBlock, I can't see the Version as in your picture... :/ I linked a pic if it could help. I tried it out with a picnic table too, and the same thing came up again. Another thing was that when I was trying to clone LN objects from Fullbuild with s3oc, I got an error message. Is there something that you'd need to do different when trying this with EP objects? 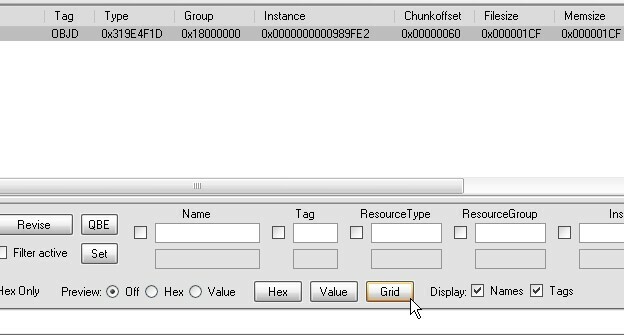 Hey Arisuka, what I meant is to click File> New in S3Pe, then click Resource> Import from file and browse to your exported OBJD. For your second problem, what version of S3PE are you using? I have the latest one and can see the version in common blobk for that object, in DeltaBuild0. For your question about S3oc, no idea since I hardly ever use it. Perhaps post the error message over on the S3PI site? Query- to show in normal game again if I mod some CC to be usable in CAW, will users need my modified, or will the original object files without modification let them see things in game? EDIT- Tested myself and found out that the modded is not needed by player, just original thingy (I guess so long as you're not changing object ID?). Noting this here for anyone else that shares my confusion later. Last edited by bakafox : 1st Nov 2011 at 7:02 AM. Thanks for that, Bakafox- you found out the answer before I could post! I've added a note in the first post to inform other people of that, thank you for reminding me of it! I would urge people who share modded resources using this method to make it clear on the download thread, too- as I have done with my Riverview/ Twinbrook objects. Can I just check, changing version to E would only apply if your commonblock version was earlier than E? Cos if it was a higher version (if higher versions exist) then that field IsVisibleInWorldBuilder would already be there ready to use, wouldn't it? I would assume so, but I would need someone who does more modding than me to confirm this. Most of what I do is just to get stuff to show up in CAW! Thank you! I have been wanting to plant custom vegetation -- more varieties of palm trees, and assorted tropical shrubs and flowers -- around town, not just on lots. Now I know how to make them available. Distance terrain disappearing when editing Hidden Springs. I copied the Lucky Palms.world file from my installed worlds, and put it in its own folder. Opened s3oc, clicked "File" "Open Package"
Selected the Lucky Palms.world file I just copied. Selected the "terrain distant_dw5 OBJD", clicked "Clone or Fix..."
Ticked "Make Clone", "Create Missing String Tables", & "Enable Compression"
The first time I did this I opened the resulting .package up in s3pe, per the instructions. Changed the "Common Block" to 0x0000000E and clicked "Commit"
Changed the "BuildCategory Flags" to 0x00008000 and clicked "Commit". I dropped this in my Caw framework, and was unable to find it in the meta data. Now, I think it was there, I just didn't search the right word. In the mean time, I redid the first steps in s3oc, but forgot to do the S3PE bit. I dropped the new one in my Caw framework, and this time found it listed under "Distant Desert". My questions is, will this .package be good to go, even without editing the OBJD in s3pe? On a side note, I placed the new DT on a new map, exported it, and it showed up in game. This is my first .package, so I want to make sure it's good. Last edited by auntielynds : 24th Aug 2012 at 6:50 PM. Yes, if I remember correctly they already enabled the LP DT for metadata. So you just need to put your package in your in-game Mods folder to have it show up in your custom worlds. If it works then go ahead and share it, no better test than letting others try it! Please test it out for her! I wonder... If I clone a rabbithole this way, will I be able to use it without a slow-loaded lot? One way to find out I guess! Nope, I have done this thrice now and it does not show up in CAW så I guess not. If you were to change an object with a pattern to show up in the metadata, would texture like the multiplier/mask + pattern, show, or would all the textures have to be like an overlay? Your tuts are super hopeful! and i love your lay out. I'm a new modder and i'm trying to "recolor" an object from create a world...(retaining wall) but unfortunately i can't find the OBJD because i dont know where to look. Sorry I didn't respond sooner, this forum has been a bit quiet since 4 came out, and I forget to look up here in the tutorial section. I have a tutorial Here that may be what you're looking for, if not I can help you through the steps. I know this is a old thread, but I followed this exactly and it worked for a plane I wanted in world editor to put on my aiports runway. I have one issue for some reason the object turns bright green. Can you possibly tell me why? Can you show us a screenshot of that? I know this is an old thread, so I hope I'm not being annoying by posting here. I remember that some time ago the pier walls from Lucky Palms (seen here: http://s46.photobucket.com/user/cir...t-2994.jpg.html) would appear in my Create a World, but now, some years later and however many re-installs I've done, they don't. I have been trying to follow this guide, as well as this archived forum (http://modthesims.info/archive/index.php?t-610298.html) to make the files visible in CAW, but I'm not having much luck. To clarify, this is the first time I've ever tried modifying objects for Sims 3, and I've never used S3PE or any of these other programs before. 3. 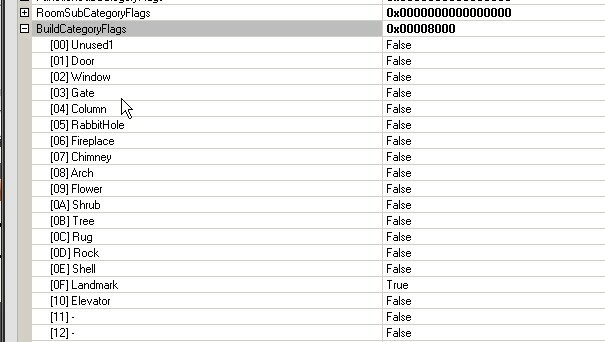 Identified the pier objects files in the Sims3pack Cleaner and opening those .package files in s3pe. 4. Following these steps to a tee. This doesn't seem to have worked so I'm assuming I've done something wrong along the way, I was hoping someone could explain what I should be doing? Edit: Or, if someone has already extracted those items in these forums, could someone direct me to those? If it is not working, I assume that you didn't manage to extract all of the files that are part of the pier. Do you mind uploading the file so others can have a look? I have never extracted anything from .world files so my help probably isn't very valuable but doens't hurt to try? Is that allowed? I don't want to break any rules or anything.